The Great Lakes ecoSmart window is an "eco-friendly" vinyl window that is touted as both an excellent performer and an environmentally friendly alternative to your standard vinyl window. I'm going to take the company at their word in terms of the environmentally friendly claim. In terms of performance, the window is quite good, but I wouldn't put it in the great category like I would for the Sunrise Restorations or the Okna EnviroStar. The ecoSmart does have some very nice features and options, including a pinch fusion welded frame, a true sloped sill, high density foam fills (the company website claims that the R-factor of the ecoSmart is 7x greater than a non foam filled frame), a composite sill reinforcement, a vinyl exterior shield, an I-Core spacer system, two integral lock / tilt latch mechanisms, as well as a number of different glass options. The ecoSmart is available as an awning, casement, slider, double hung, garden window, bow or bay, as well as a sliding patio door. One interesting note, you have to really search the website to discover that the windows are made by Great Lakes, I always find this interesting and wondering why they try to market the window as a standalone unit. All in all, the ecoSmart window is a decent performer with some nice features - I would certainly consider this vinyl window given the right price point and good installation. Consumers can expect Great Lakes ecoSmart windows prices to run $55 to $65 per square foot for the window itself. Comparable windows include the Okna Starmark window. Upgrading to one of the better ecoMax glass packages will improve these numbers to something in the neighborhood of .26 U-factor, .22 SHGC, .42 visible transmittance, and a 51 condensation reinforcement. The AI should certainly improve, hopefully to less than .12. The upgraded ecoMaxKR glass will lower the U-factor down to .15, very impressive. Comparable to the HiMark Starmark. 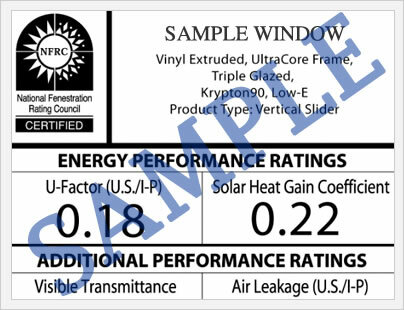 All of this performance data comes from the nfrc.org website (except the AI numbers), which lists thousands of window and door performance data. I was expecting some lower U-factor and AI numbers than this, given the features included. 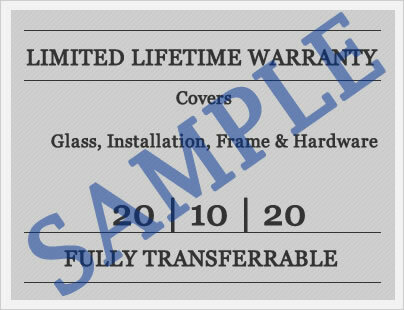 The Great Lakes ecoSmart window warranty covers the original owner and is non transferrable from my reading of the warranty (although the warranty does mention the insulated glass unit coverage is transferrable and lasts for 10 years from the original purchase date in the event of a home sale). The lifetime warranty covers the original owner on the vinyl frame unit, all moving parts, the exterior screen, and the insulated glass unit. The IGU coverage is pro-rated and the percentage of coverage goes down starting at year 11. The warranty also includes a glass breakage provision that is a lifetime provision and covers the replacement parts only and is non transferrable. All in all, the warranty is actually a bit confusing. It includes a number of limitations and exclusions so please do yourself a favor and read the one page document before you buy these windows. Do you have Great Lakes ecoSmart window reviews to share with other homeowners	and consumers who may be interested in buying this eco friendly vinyl windows? If so, please post them on this page. Questions for our site editors on the pros and cons of the ecoSmart	window or any Great Lakes windows? Ask your questions and get the answers on	pricing, bids, installation, and much more.